Eyebrows are arguably the most important aspect of your look. Not only do they frame your face, but they can also make or break your appearance. With so many grooming options, tools, and tricks, we sometimes find ourselves furrowing our brows in confusion about how exactly to take care of them. But, it’s time to dispel some of that confusion, and introduce you to some little known facts about doing your brows. 1. Know what works for your face: Getting the perfect brow all depends on knowing what works for your face. If you have a round face, emphasize the arch to draw attention away from the width of your face. If your face is longer, make your brows a bit wider to balance out the length. For angular faces, make your eyebrows just a bit rounded to soften the harsher edges. 2. Work with your angles: To determine where your brow should start, peak, and end, work with the angles of your nose. Hold a pencil or makeup brush vertically from the side of the base of your nose up to your forehead. Where the pencil hits along your brow bone is where your eyebrows should begin. Next, hold the pencil against the same part of your nose, and angle it towards your iris. Where it hits is where your arch should be. Lastly, take hold the pencil at an angle from the outer corner of your eye to your temple, and where the pencil aligns with your brow bone is where your brows should end. 3. A natural looking brow is best: It’s really easy to go overboard with the drawing in your brows — so much that they can end up looking fake. Whichever product you favor, it’s best to remember that you should not place it more than one quarter of an inch away from where the natural hair growth stops. Also, only use products that are one or two shades lighter than your natural brows. Anything darker will simply look artificial. 4. You can pull off a bolder brow: Thanks to the likes of Cara Delevingne, everyone wants to recreate the full brow, but a lot of girls fear that it looks like too much. Everyone can pull off bolder brows, but that means bolder for your own face, not recreating Cara’s exact look. Start by letting your natural brows grow in and keeping them groomed with brow gel, and you’ll get more and more used to the bolder look each day. 5. Exfoliating stimulates growth: If you prefer to get bold brows the good old fashion way, then exfoliating is a great way to help them grow in. Simply use a soft toothbrush and a sugar scrub to slough away any dead skin and make way for fresh, healthy hair. 6. 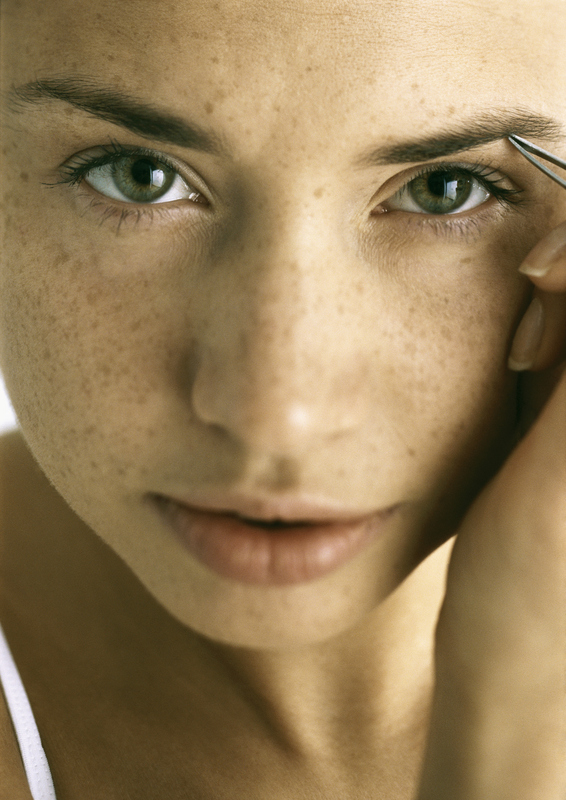 Make tweezing less painful: Applying a bit of numbing cream to the area before you tweeze can help to make the plucking less painful. 7. Find what works best for you: Some ladies prefer waxing, others prefer plucking, and there are those who love threading. However you decide to go about doing your eyebrows, find which technique works best for you. 8. Avoid an eyebrow mishap: The same way you need to give your makeup staying power, you need to make sure any brow powder, gel, or pencil will stay in place, too. Make sure to use waterproof or long-lasting makeup on your brows — especially in the heat of summer — to avoid any mishaps. 9. Dyeing your brows can be dangerous: Hair dye can cause chemical reactions and your eye area is considerably more sensitive than your scalp. You could have adverse reactions to the hair dye, so stay on the safe side with powders, gels, and pencils that can be removed at the end of the day. 10. Give your brows a breather: Give your brows about 3-4 weeks between each hair removal session to let them grow in a bit and to give the sensitive skin around your eye area a break.